Here is my finished pair of pink and grey crocheted plarn sandals that I have been working on for months. This truly has been a labor of love and recycled craft challenge to get these completed. 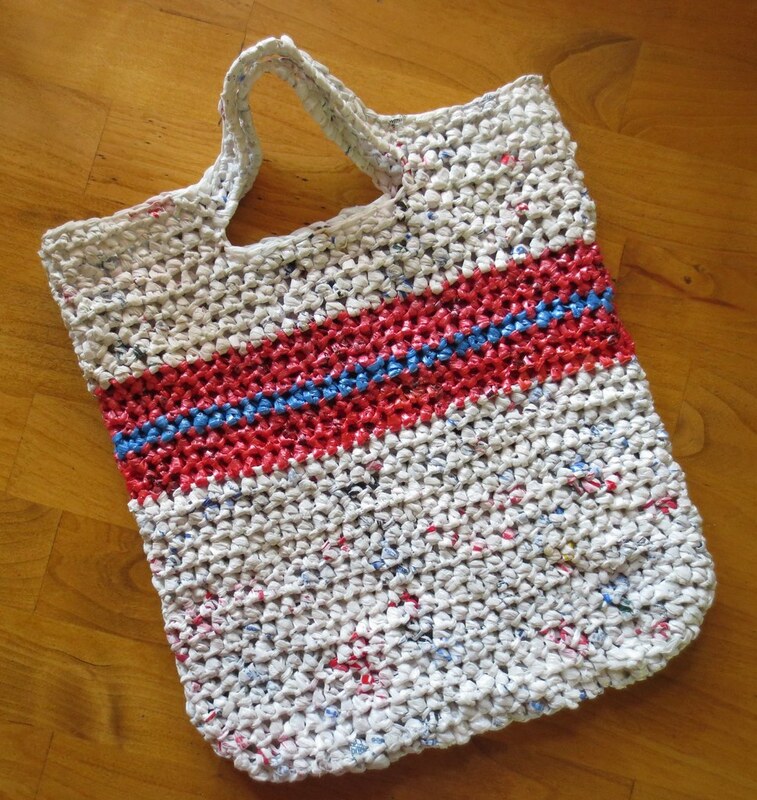 I posted my progress with this plastic bag project over the last several months. I crocheted the plarn sandal soles and improved on the pattern I used in the past for making recycled plastic sandal slippers. 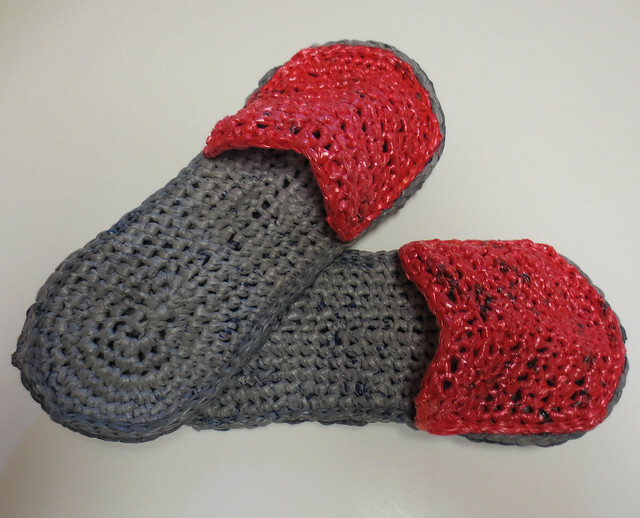 I present the free crochet pattern for these recycled plastic sandals below. 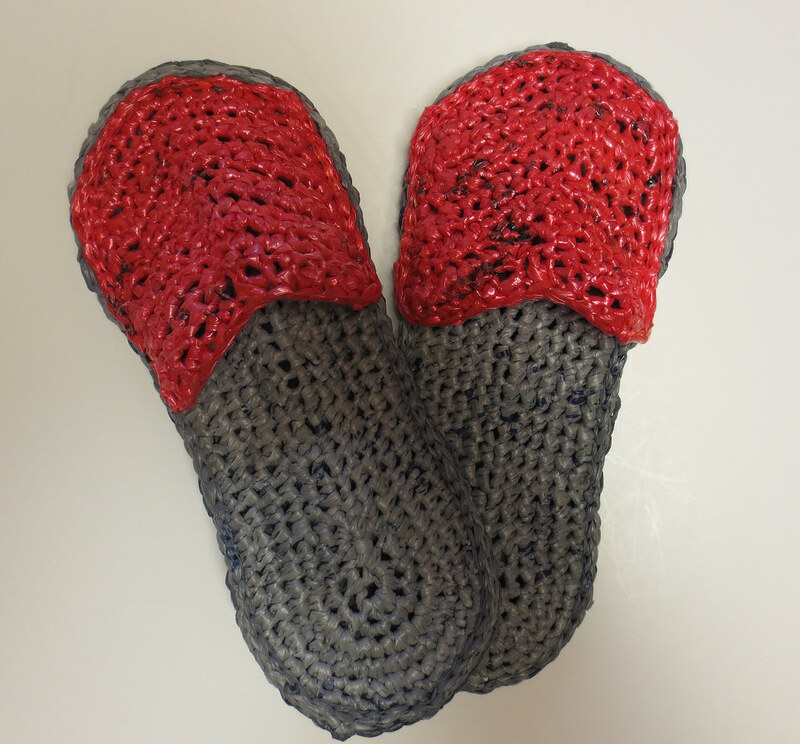 These can be used at the beach, around the house and garden, or even as shower sandals for college students. 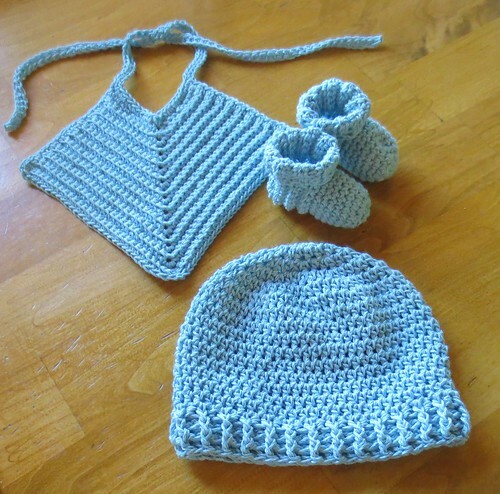 For larger or smaller sizes, just add more or reduce the stitches to your beginning chain and crochet the tops wider too as needed. Here is my picture tutorial link showing how to make yarn from recycled plastic bags.